I love fish! My favorite is raw fish (sashimi), but I’ll settle for cooked as well 🙂 And for Stas, the fish has to be really really cooked!! Last night I stopped at the grocery store for CHEESE (I looooove cheese – I’m a cheese addict) and saw salmon fillets on sale. 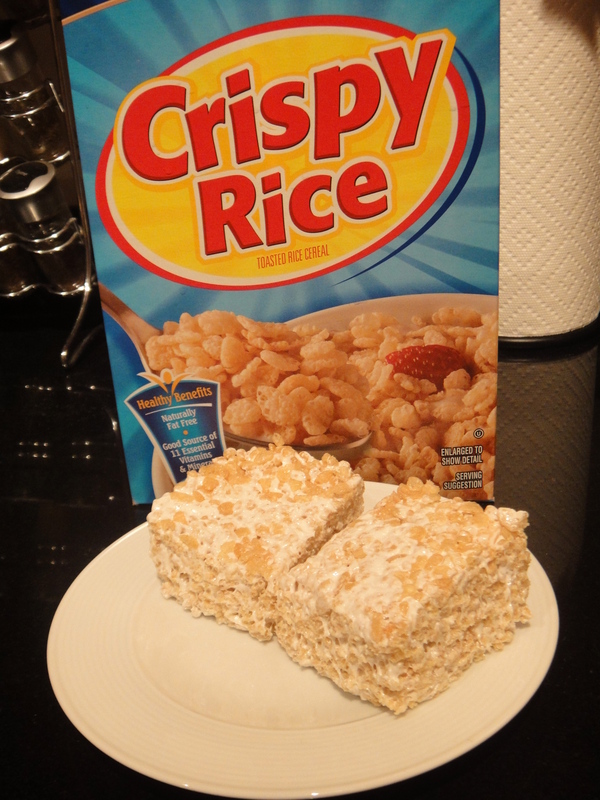 I immediately thought of a recipe in the current issue of Cooking Light that I had flagged – so I bought a 1lb. fillet. The dish was incredibly easy and fast to make, and it was delicious! I’ll definitely be making this again. Cooking Light also recommends this glaze for pork tenderloin or boneless,skinless chicken thighs. 2. Combine first 4 ingredients in a large zip-top plastic bag. Add fish to bag and refrigerate 10 minutes, turning bag once. 3. Remove fish from bag, reserving marinade. Place marinade in a microwave-safe bowl and microwave on high for 1 minute. 4. Heat a large *ovenproof* nonstick skillet over medium-high heat. Sprinkle fish evenly with salt and pepper. Coat pan with cooking spray. Add fish to pan, skin side up; cook 3 minutes. Turn fish over. Brush marinade evenly over fish. Broil 3 minutes, or until fish flakes easily when tested with a fork, or until desired degree of doneness. This weekend in Massachusetts, we got hit with our first real snowstorm of the season. It started Friday afternoon and lasted all the way until tonight – when it switched over to a nasty snow/sleet/rain mix. This meant that we couldn’t get out much this weekend. Stas and I did manage to get to the gym on Saturday afternoon, and we met my siblings and parents for dinner that night. But today’s wintry mix was a little too nasty to be on the road. So I was bored!!! Seriously, seriously bored! Stas and I tried to walk to the grocery store, but we were getting too wet and I didn’t want to ruin my fur hat, so we turned back. I channel surfed for awhile, but there was nothing on. … so I headed to the kitchen and flipped through my Joy of Cooking cookbook. These cookies immediately caught my eye. I had seen a version of these cookies on the Gourmet site – apparently, they were a favorite in the 1950’s. I made the Joy of Cooking version instead because I’ve always had good results with that cookbook, and Gourmet kinda comes across as snobbish. I do like how their cookies look, though. I’d like to try their recipe soon to compare the results. “Benne” is the African word for “sesame.” It’s still used in the South – particularly South Carolina. These cookies were easy to make – and tasty! They almost taste like they have peanut butter in them. And they’re not too sweet, which means that Stas really likes them. 1. 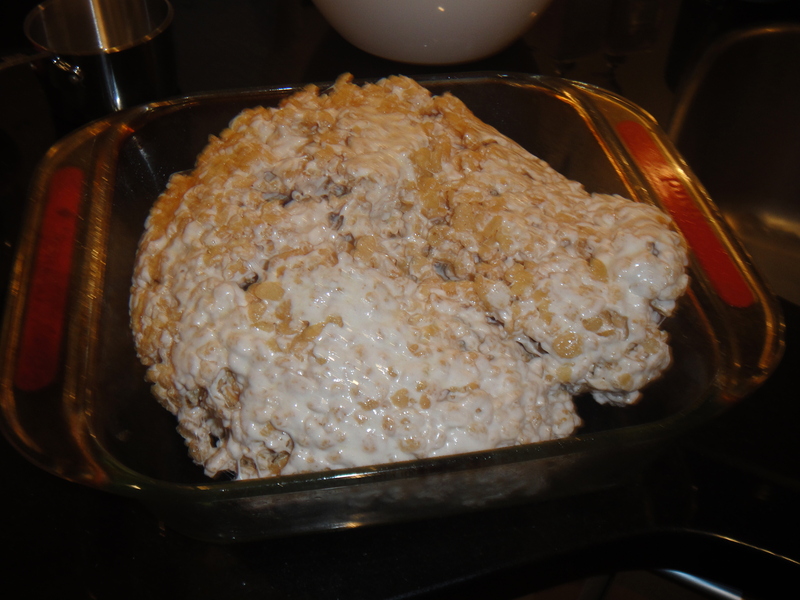 Preheat oven to 375 degrees F. Grease and flour 2 cookie sheets, or line with parchment paper. 2. In a medium bowl, mix together flour, 1/2 cup sesame seeds, baking powder, baking soda, and salt. 3. 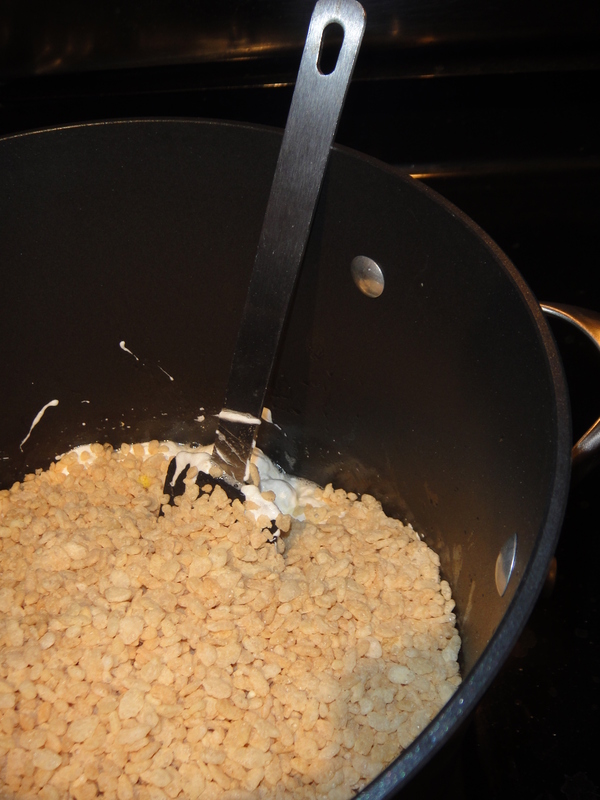 In a separate bowl (I used my stand mixer for this step), cream together butter and brown sugar. Beat in the egg and vanilla. 4. Add the flour mixture to the butter mixture. 5. Pull off pieces of the dough (or use a small cookie scoop) and roll between your palms to form 1-inch balls. Dip the tops of the balls into the additional 1/2 cup sesame seeds (or 1 cup chopped pecans). Place the balls, seed side up, about 2 inches apart on the cookie sheets. Using the bottom of a coffee mug, flatten the balls into 1 1/2 inch rounds. 6. 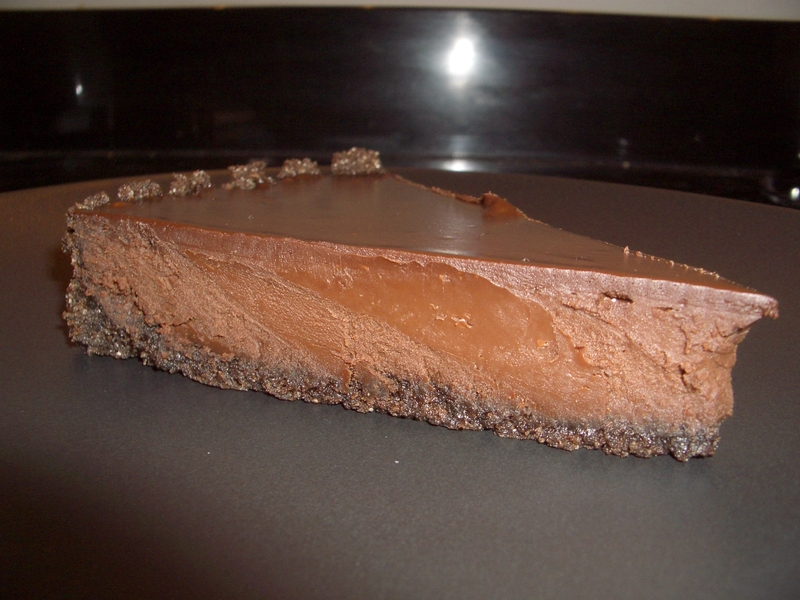 Bake, 1 sheet at a time, for 6-8 minutes, or until the edges just start to brown. Let stand briefly and then move the cookies to a rack to cool. Aren’t they so cute?!! I saw them in a Rachel Ray magazine at the gym and just couldn’t resist!!! These are perfect for any occasions where you want to “wow” people, but don’t have a lot of time, or you’re not a great baker (no baking required!). 3. Line a baking sheet with wax paper. 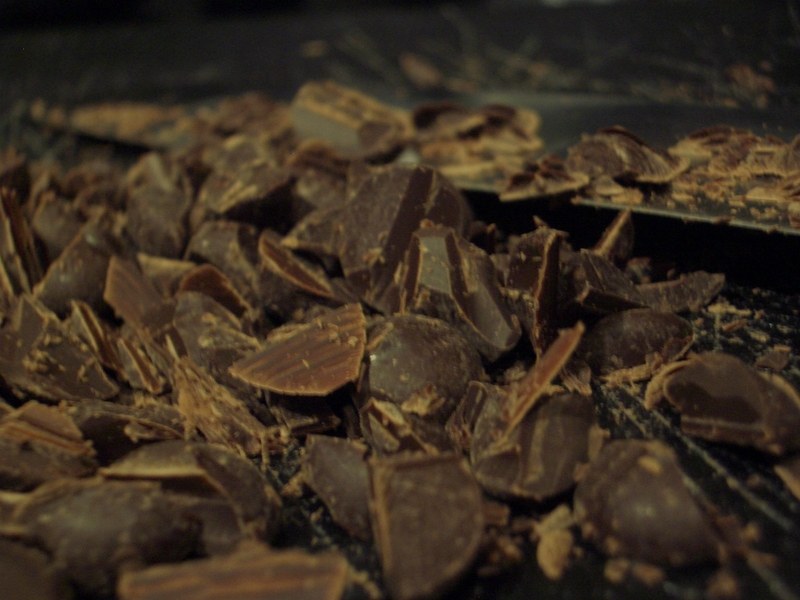 In a small bowl, microwave the chocoalte chips at high power, stopping to stir every 20 seconds, until smooth, about 1 minute. 4. Insert a toothpick into the wide end of each mouse. Working with one at a time, dip 12of the mice into the chocolate. Tap gently to remove any excess. Transfer to the prepared baking sheet and refrigerate until firm, about 15 minutes. This was my second contribution to the “Twelve Days of Cookies” at work. … and it’s a good thing that I chose these to come after the egg nog cookies, because they were definitely the favorites. People have been coming by my office and stopping me in the hall to tell me how much they loved them. I call them “Seven Layer Bars”, but they also go by the name “Hello Dolly Bars”. 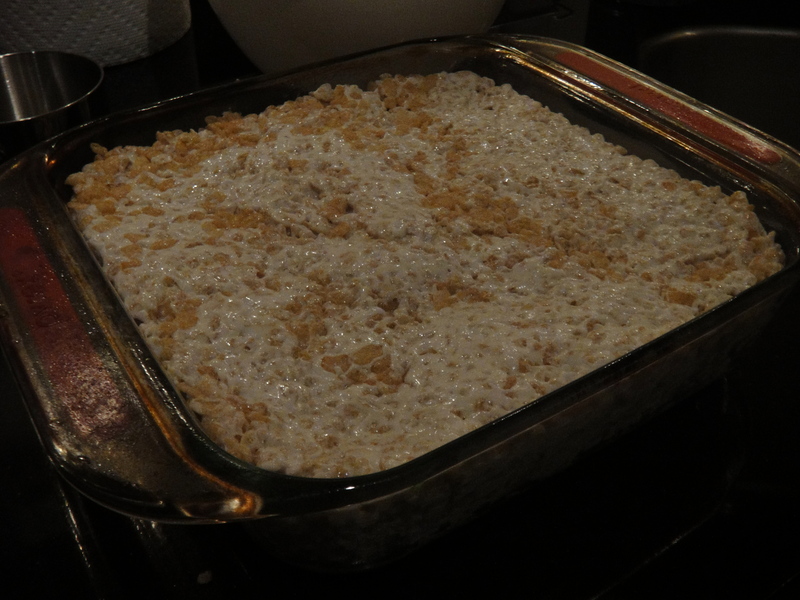 I modified mine a bit, because of what I had on hand (chocolate graham crackers instead of regular) and because I couldn’t find butterscotch chips (I used Heath Bar baking bits instead). The secret ingredient? Sweetened condensed milk. I’m convinced that NO ONE can resist sweetened condensed milk. 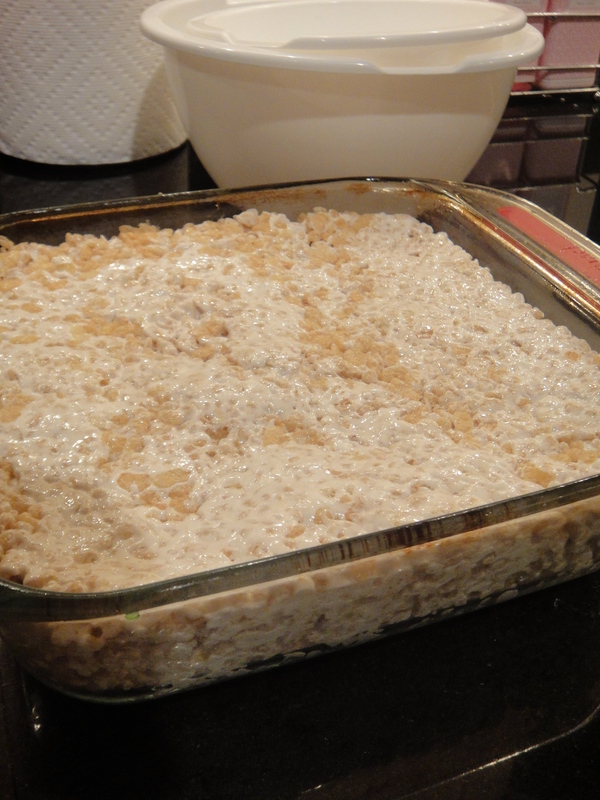 These bars are incredibly easy to make: no mixing required, and the cleanup is minimal. 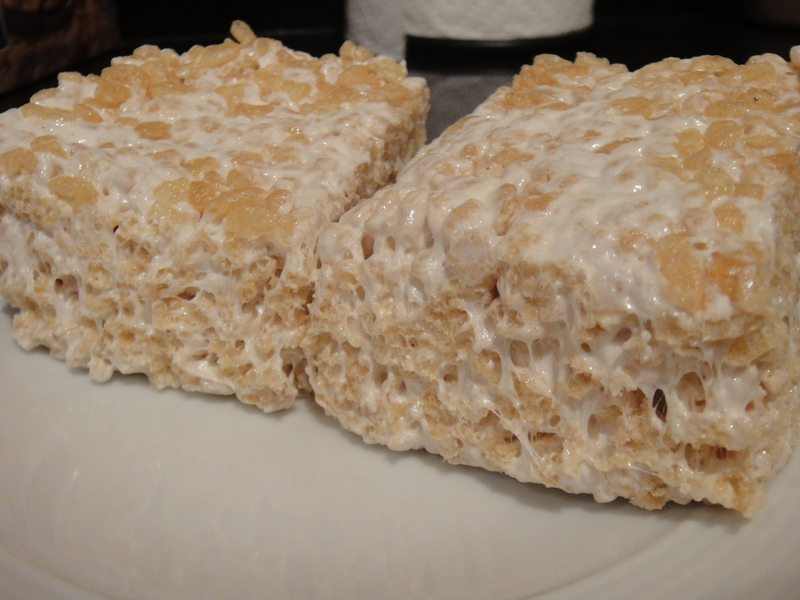 You MUST make these bars!! 3. 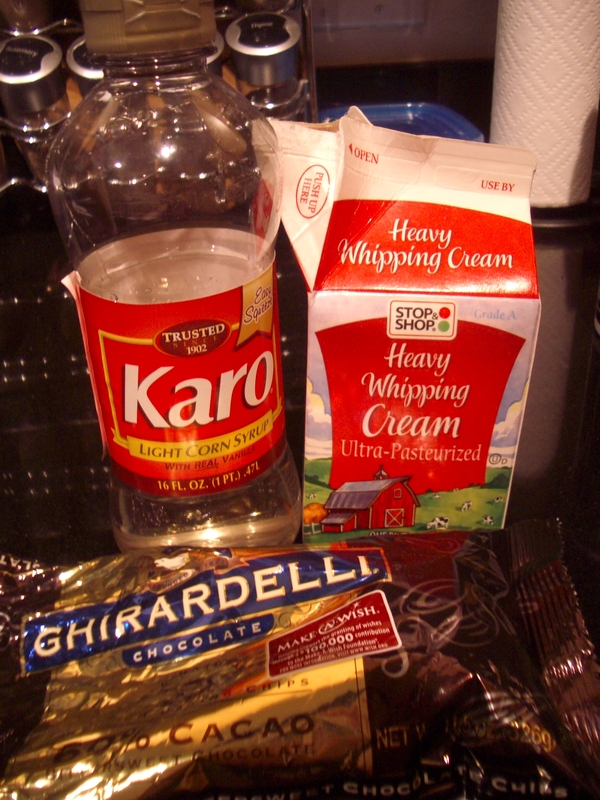 Sprinkle on the coconut, then the cocolate chips, then the Heath Bar baking bits. Pour the sweetened condensed milk evenly over the whole thing. Sprinkleon the nuts and press down lightly. Each year at work, we have something called “The Twelve Days of Cookies”. It’s pretty self-explanatory… every day, for 12 days, someone brings in cookies. I think that for some people, it’s the highlight of the year. For my first day, I wanted to do something festive, and something that I hadn’t made before. Originally, I was going to make just plain ol’ eggnog cookies – I originally planned to use a recipe that made a harder dough, that you rolled and cut into shapes with cookie cutters. But then I found these and just couldn’t resist! It doesn’t require chilling the dough, doesn’t require cookie cutters (I don’t have any!! ), and has a rum frosting (eggnog + rum is a perfect combination)! The verdict? AWESOME! My coworkers raved about them. The only problem is that now I have a bunch of eggnog left. I don’t drink it because it’s too fattening and Stas tried it yesterday for the very first time and thought it was nasty (but he did love the finished cookies)! So I’ll probably end up making another one or two batches for him to take to work. 2. Cream the brown sugar and butter until smooth and light (I used the whisk attachment in my KitchenAid stand mixer). Beat in the egg until well-blended. Stir in eggnog. 3. In a separate bowl, mix together the flour, baking soda, salt, nutmeg, and ginger. Blend into the creamed mixture until smooth. Using a cookie scoop, scoop even amounts of dough onto ungreased cookie sheets (I used 2), about 2 inches apart. 4. Bake about 15 minutes, or until the cookies are golden. 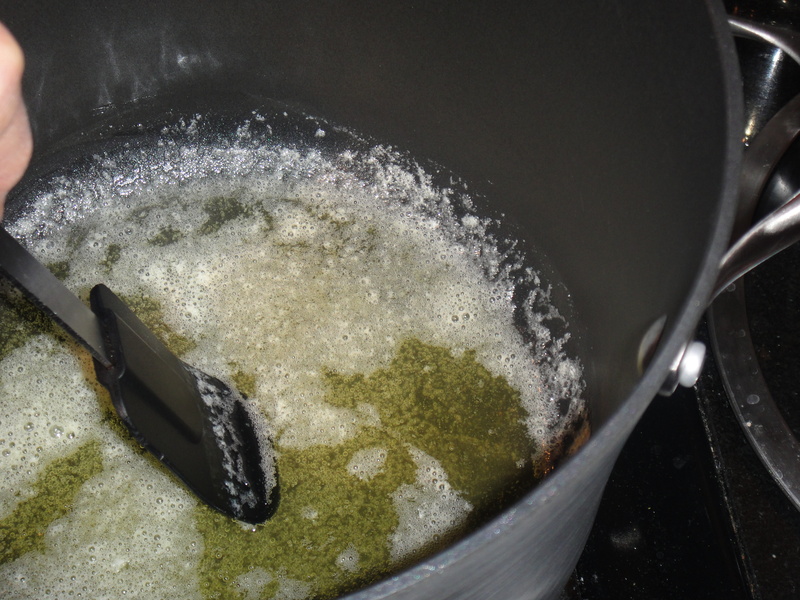 Let sit on the pan for a minute to harden a bit, then use a spatula to transfer them to a wire rack to cool. 5. Meanwhile, melt the remaining butter and rum in a small bowl. Stir in the powdered sugar and blend until smooth. It will thicken slightly as it sits. 6. Once the cookies are completely cooled, spread icing on the top of each and garnish with sprinkles, if desired. This tart is good. Really really good! I don’t normally try stuff like this when I make it (I prefer to stick to healthy eating), but this was absolutely irresistable! Today at work we had a pre-Thanksgiving potluck. I’m known for being a great cook/baker, so I couldn’t disappoint. When I saw this recipe from Gourmet magazine, I knew it was the one. The recipe seems long and complicated (at least it did to me when I first saw it), but it’s surprisingly simple and doesn’t require a lot of ingredients. 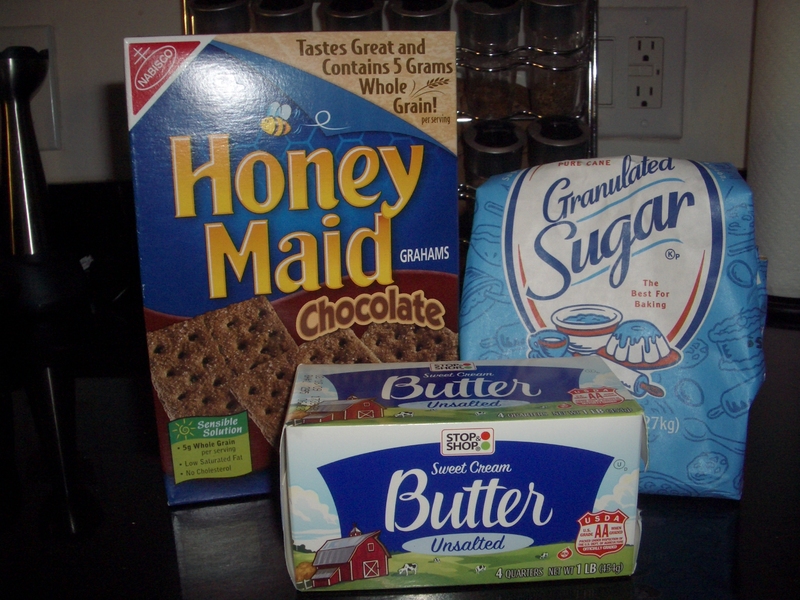 The only things I needed to go out and buy was heavy cream and chocolate graham crackers. 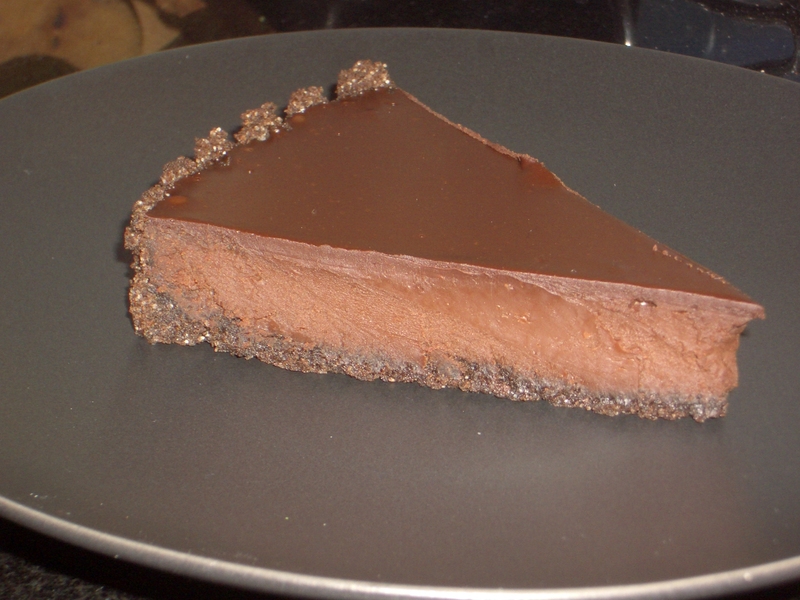 The tart is basically three layers of chocolate: a chocolate crust, a truffle-like dark chocolate filling, and a dark-chocolate glaze. Preheat oven to 350 degrees F, with rack in the middle. 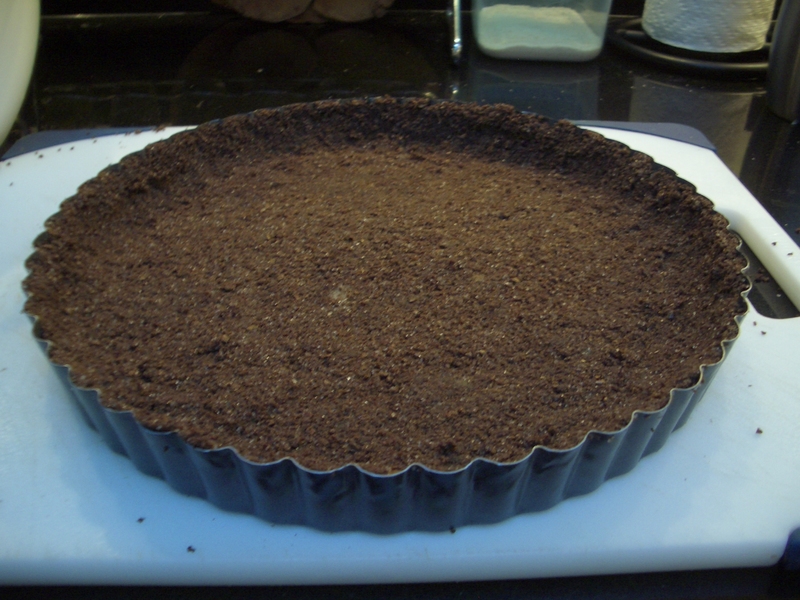 Stir together all ingredients and press evenly onto the bottom and sides of a 9” tart pan. Bake for 10 minutes. Cool on a rack for 15 to 20 minutes. 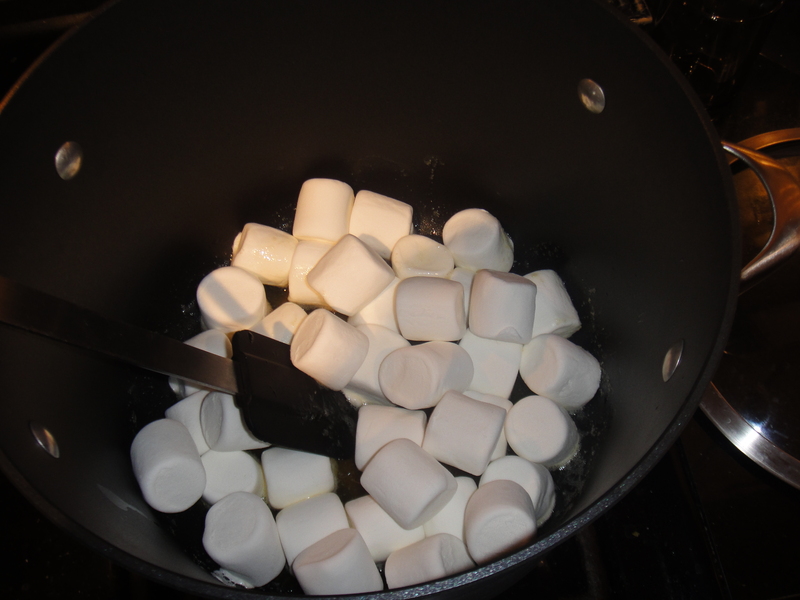 Bring cream to a boil, then pour it over chocolate in a bowl and let stand for 5 minutes. Gently stir until smooth. 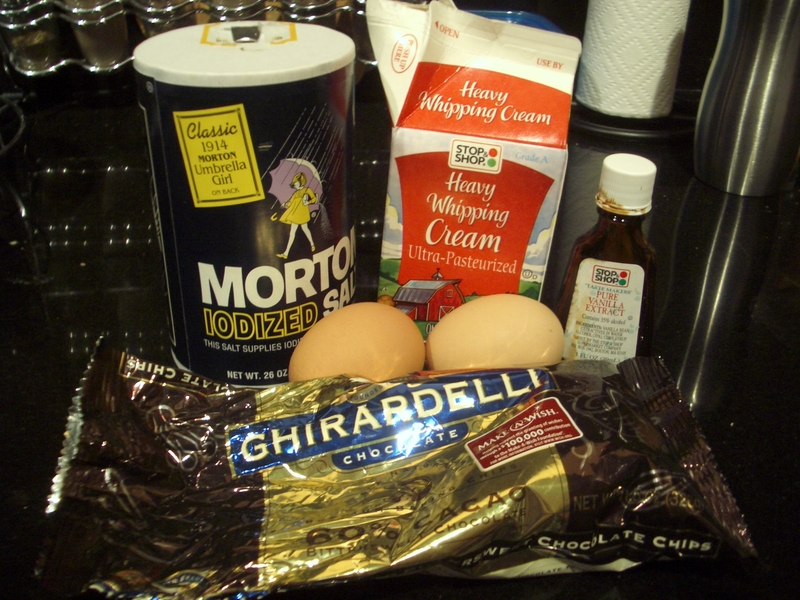 Whisk together eggs, vanilla, and salt in another bowl, then stir into melted chocolate. Bring cream to a boil and remove from heat. 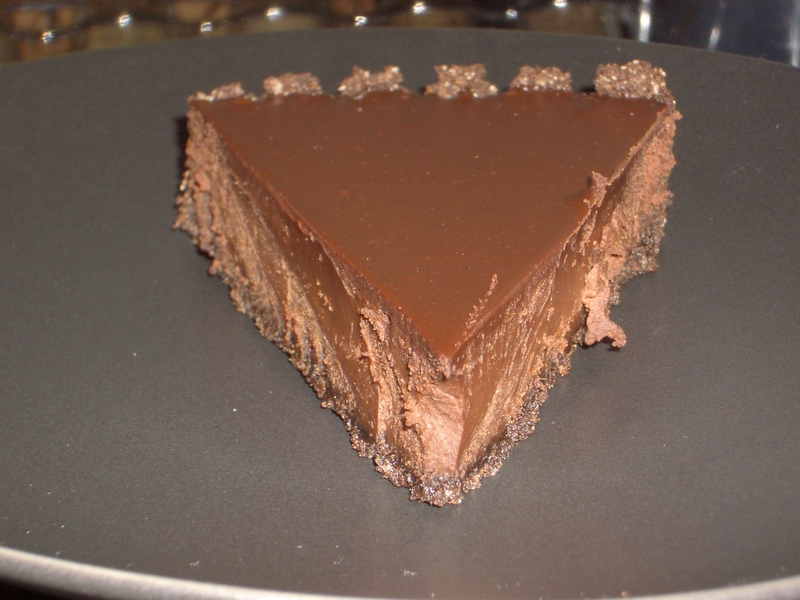 Stir in chocolate until smooth. Stir in corn syrup, then stir in warm water. 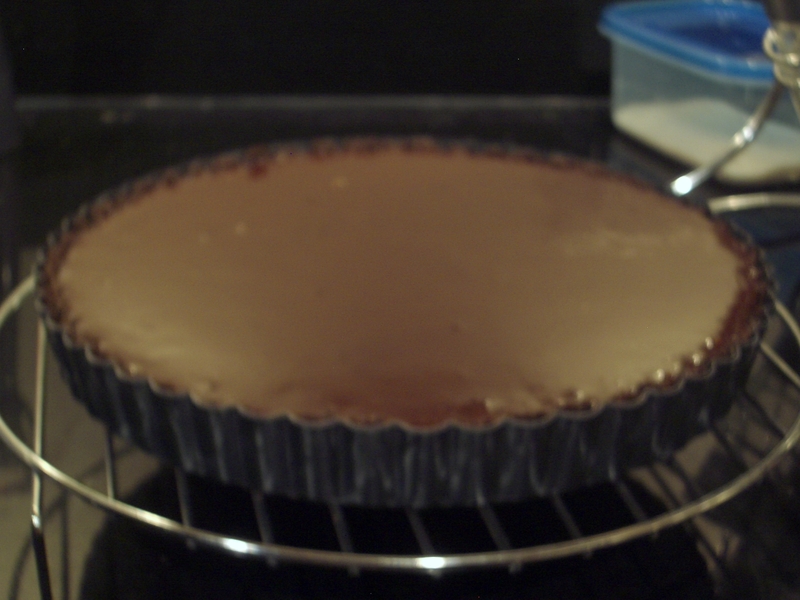 Pour glaze into tart, then tilt and rotate the tart so that the glaze coats the top evenly. Let stand until the glaze is set, about 1 hour.